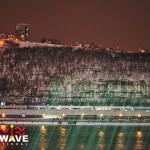 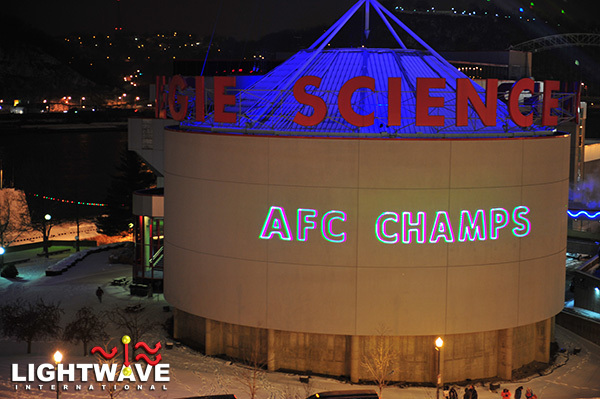 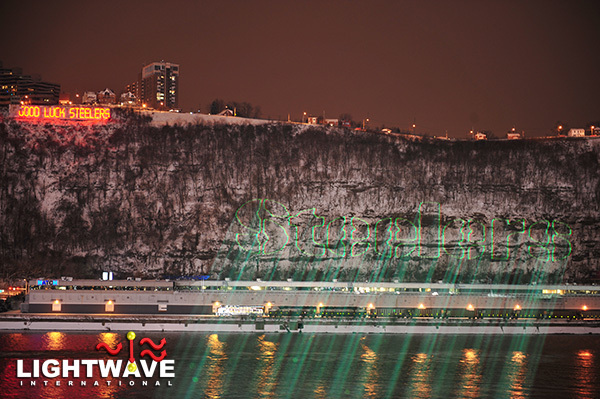 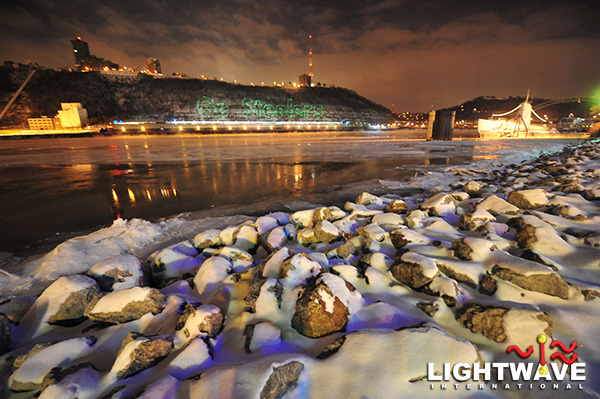 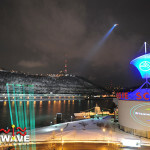 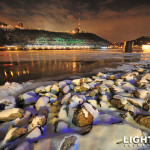 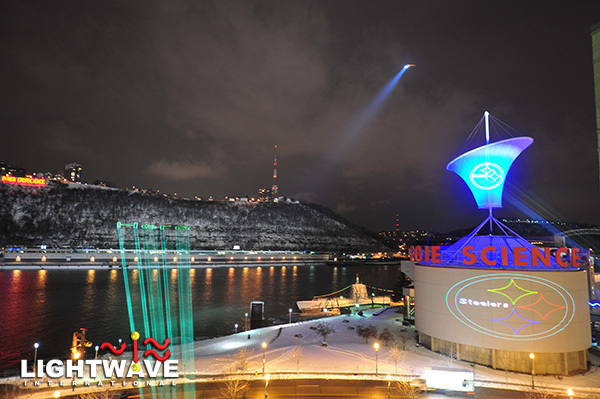 Lightwave International used massive lasers during the 2008 AFC Championship game to project team messages onto the surface of a mountain over 2500' away, and onto the Carnegie Science Center. 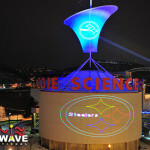 Pittsburgh Steelers text, logos and colors were visible for many miles throughout the city and to the 79,000+ fans gathered in Heinz Field. 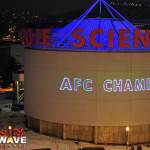 Lightwave International used massive lasers during the 2008 AFC Championship game to project team messages onto the surface of a mountain over 2500′ away, and onto the Carnegie Science Center. 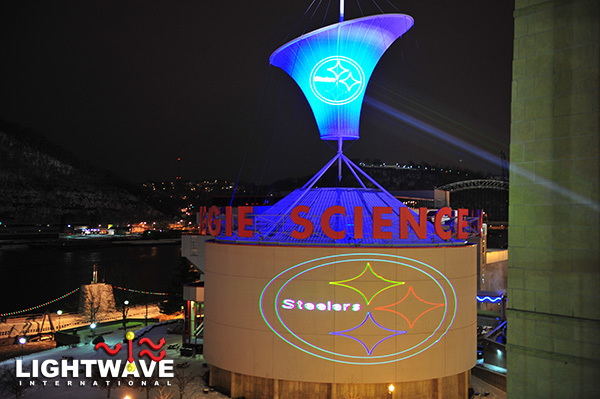 Pittsburgh Steelers text, logos and colors were visible for many miles throughout the city and to the 79,000+ fans gathered in Heinz Field.